Mildred Lampone (nee Piscitelli), 81, of Orangeburg, formerly of Wesley Hills and Nyack, passed away at home on Tuesday, January 22, 2019. 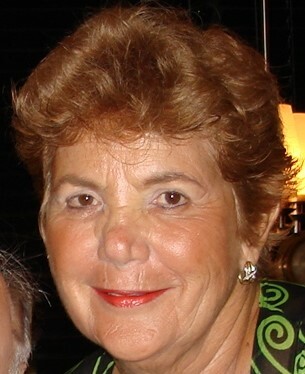 Beloved wife of the late Frank Lampone, Sr. Cherished mother of three sons; Edward of Nanuet, James and his wife Denise of Orangeburg and Frank Jr. and his wife Leanne of Ridgewood. Adored grandmother of James, Joseph, Caroline, Thomas and Douglas. Dearest sister of Albert Piscitelli, Roseanne Balzereit, Marylou Amarosa and the late Dominick Piscitelli. Mildred was a secretary for A&P in Montvale for many years before retiring. She was a parishioner of St. Boniface Church in Wesley Hills and was a member of the Pearl River Senior Center, the Nyack Library and the Bridge Club. A Funeral Mass will be celebrated Saturday 10 AM at St. Catharine’s RC Church, Blauvelt with interment to follow at Ascension Cemetery, Airmont. Visiting hours are Friday 4-8 PM at Pizzi Funeral Home, 120 Paris Ave, Northvale (201-767-3050). Donations in Mildred’s memory may be made to the Alzheimer’s Association, www.alz.org.